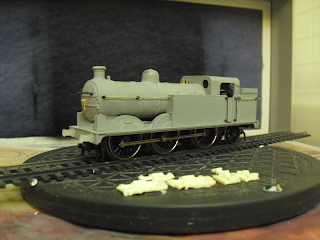 THE BRITISH RAILWAY STORIES LTD: "Ivatt N1: Detailing and Resin Casting..."
My first Ivatt N1 model (now with a chosen identity: superheated no.69478 of Bradford shed) is nearing completion, and has had a plethora of detail parts added. 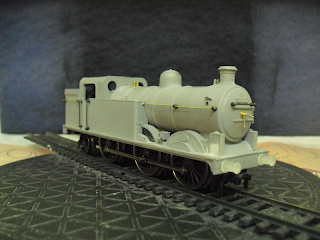 I've elected to recycle as much of the donor Hornby N2's bodyshell as possible, re-using all of the handrail knobs, the safety valves and even the rear coupling hook. Handrails on the boiler, bunker and the cab have been fitted. Which brings me on neatly to these. 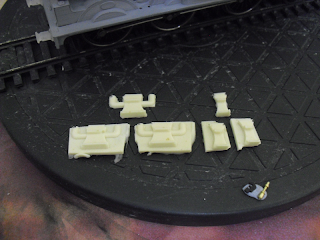 They will need cleaning up, but they are otherwise perfect copies of the Hornby N2's steps for the front running plate, and under the cab (including the piping). These have been cast from a mould I created, and are made of Alumilite. 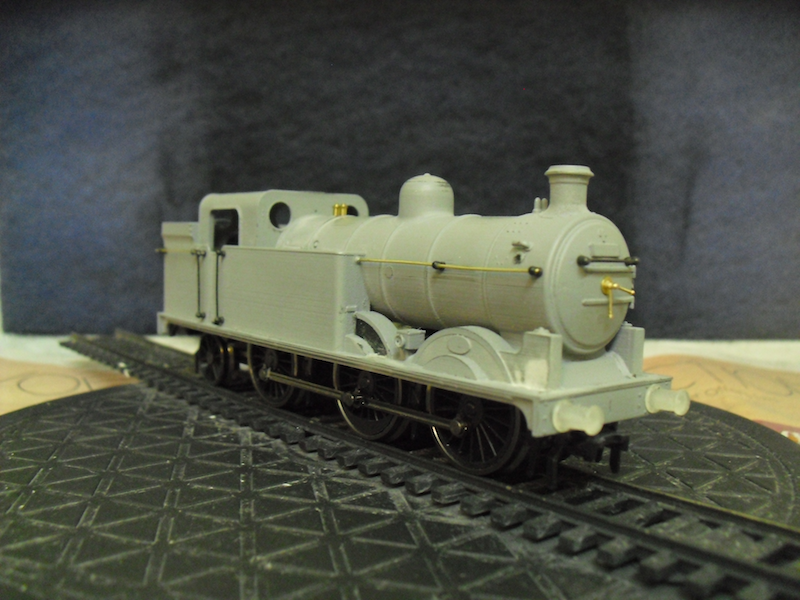 The smokebox door dart is a Markits type, whilst the buffers are the 3D printed originals, which I figured I would use on this build to save a bit more money. Notice also that I have completed the centre driving wheel splasher with a little plasticard and some filler. 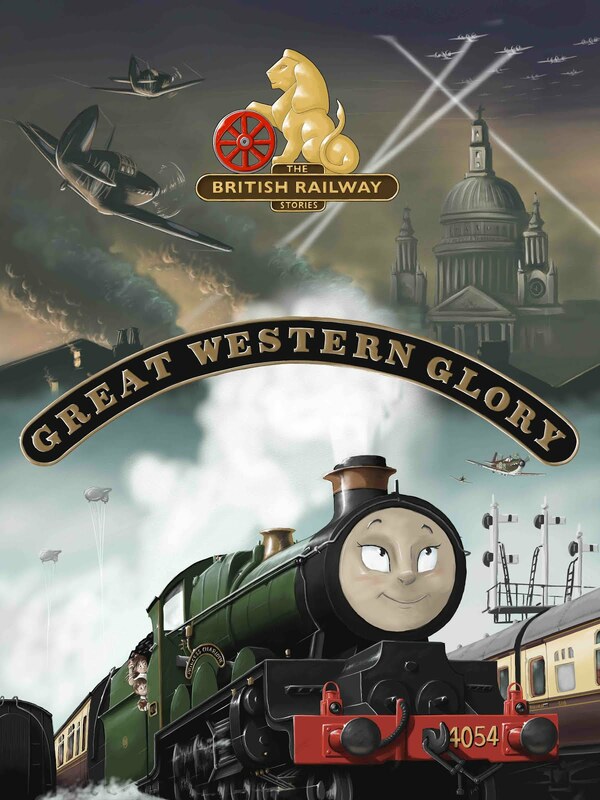 The next stage is fitting the coal rails, piping and a few other bits and pieces before finishing the model off in a plain black livery with "British Railways" on the tanksides.